The Watsco Center in Coral Gables, Fla.
Our first pick for the spotlight fight from Titan FC’s 42nd effort was the flyweight title showdown between interim champion Jose Torres and challenger Pedro Nobre. 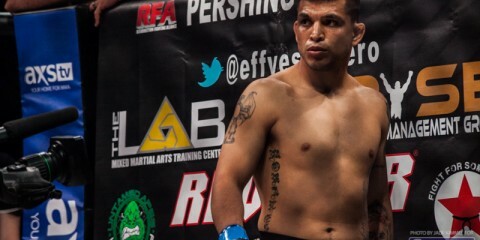 However, the promotion announced the scrapping of that fight earlier this week when Nobre sustained an injury. Instead, we’ll head to the other end of the weight spectrum to look at another of Titan FC 42’s brightest prospects. That prospect is Volkan Oezdemir, a heavyweight fighter who has only suffered one loss over the course of 13 pro outings. Oezdemir will get his chance at heavyweight gold when he meets Jack May in one of the evening’s three title fights, all of which will air live on UFC Fight Pass. Oezdemir made his pro debut in 2010 and ran through his first nine opponents, including seven via some form of knockout, during a globe-hopping tour of the regional circuit. His quick start was enough to earn the Swiss fighter entry into Bellator MMA, where he debuted with a first-round TKO finish of Josh Lanier. 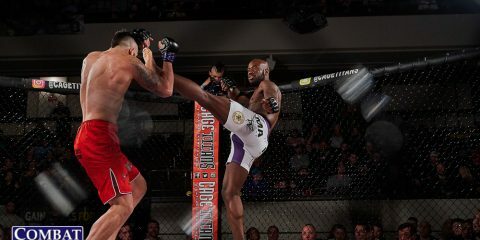 The Team Tavares, Blackzilians and Fight Move Academy product didn’t fare so well in his sophomore outing with Bellator. Instead, he was submitted after encountering the grinding, suffocating style of opponent Kelly Anundson. He returned to his homeland for a rebound victory before missing all of 2015 after his only scheduled bout, a meeting with UFC veteran Renato “Babalu” Sobral fell through. Oezdemir returned to action in 2016 under the Akhmat Fight Show banner and secured a unanimous decision victory over 4-1 prospect Alikhan Vakhaev. Oezdemir’s opponent, May, has finished plenty of his adversaries via strikes as well. The 35-year-old debuted in 2011 and won his first seven outings, including six stoppages via strikes. His most notable victory in that stretch came against Carl Seumanutafa while fighting under the Tachi Palace Fights banner. May’s success led to a 2014 call-up to the UFC, but he had the massive misfortune of debuting against Derrick Lewis, who decimated May for a first-round finish. 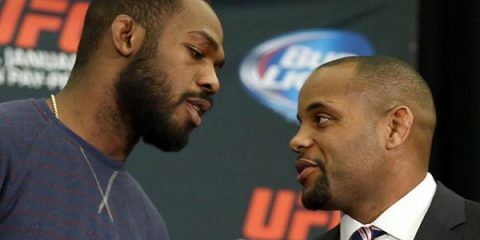 May’s second Octagon appearance lasted longer, but ended in similar fashion when Shawn Jordan finished him with strikes. The UFC parted ways with May, who soon signed with Titan FC, but found little luck in getting a fight. In fact, he sat and waited through the last third of the 2014 calendar year, all of 2015 and the first third of 2016 before finally returning against Chase Sherman in a losing effort in April. Along the way, May had five potential bouts fall apart. “The Outlaw” did rebound from his loss to Sherman, which had extended his skid to three fights, when he edged longtime journeyman Tony Lopez in an August match-up. How much difference can seven inches make? That might be the question Oezdemir asks himself as he looks up at his 6-foot-8 opponent. Oezdemir is seven inches shorter, but he’s only edged by two inches in the reach department. He can take some solace in that, at least. However, Oezdemir has bounced between the heavyweight and light heavyweight divisions, and he’s likely to be severely outsized by May. That could play a huge factor in the outcome of this fight. May hasn’t been especially impressive in his run, but he did go more than two rounds with Shawn Jordan. He defeated the aforementioned Lopez and even stopped Seumanutafa. Those accomplishments tower over anything we’ve seen from his Swiss counterpart, who couldn’t even get past Anundson while fighting for Bellator. This should be a battle where two men stand toe-to-toe and throw down. May might get clipped, but it’s more likely that his size allows him to cruise to victory against his smaller opponent. Hard Rock Hotel and Casino in Tulsa, Okla.
It’s the swan song for the Legacy Fighting Championship organization before next year’s merger with the Resurrection Fighting Alliance. Rather than going out with a bang, the promotion appears to be set to end an era with a whimper. The company’s 63rd show has only one certified star — UFC veteran Gerald Harris, who is coming out of retirement to compete — but the welterweight is opposite Aaron Cobb, a 7-3 foe who hasn’t fought since 2013. The lineup features a few other prospects, including Trey Houston, Jimmy Flick and Levi Mowles, but no true draws and plenty of fighters who have had long stretches of inactivity. Harris has never been the most exciting of fighters, but he usually gets the job done. The 37-year-old debuted in 2006 and won his first seven fights, including his Titan FC debut, before hitting the national stage as part of the now-defunct IFL. After the promotion failed, Harris moved on to pursue his UFC dream by competing on The Ultimate Fighter 7. He was eliminated from the competition by Amir Sadollah and then toiled through six more wins on the regional level before the UFC came calling. 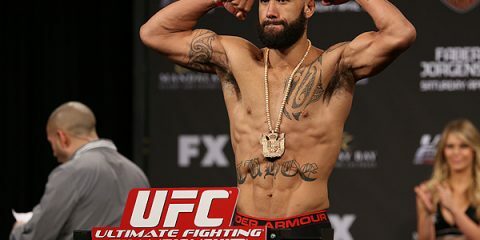 Harris won his first three Octagon outings, but a poor showing in a loss to Maiquel Falcão was enough to prompt UFC President Dana White to show Harris the door. Harris continued to hop from promotion to promotion, making stops with Tachi Palace Fights, Dream, Legacy FC and the World Series of Fighting. 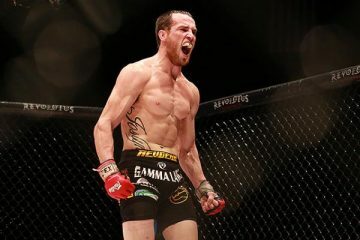 After a two-fight stint with the WSOF in which Harris lost to Josh Burkman and defeated Jorge Santiago, he chose to hang up his gloves in 2013. This will be his first appearance since coming out of retirement. Cobb has also been inactive since 2013. The Midwest-based fighter debuted in 2010 and won his first three fights by stoppage, with none of the fights lasting more than 90 seconds. Then, he suffered back-to-back losses. Cobb rebounded with a 36-second submission finish of Jason Morrow. Another two submission victories followed before he was defeated once more. Cobb’s resume comes to an end in 2013, when he scored another first-round submission finish. Harris is the star of this show, and Legacy has opted to give him a fellow fighter coming off a long hiatus. Cobb is an excellent grappler who could catch Harris with a submission, especially in the opening moments of this contest. However, Harris was one of the better middleweight and welterweight fighters outside of the UFC during his prime. 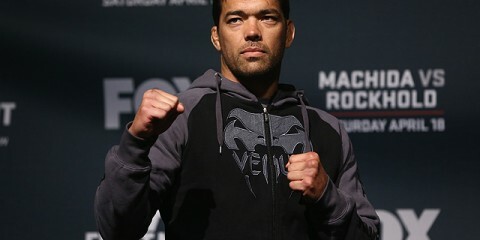 The black mark of the Falcão fight and some of his late-career decision wins gave him a reputation as a boring fighter, but this is a guy who has recorded 15 finishes in his career, including nine knockouts and six submissions. Unless he has really lost his form in the last three years, Harris should still be considered an immense favorite over Cobb. The circus. Full of beasts, plus the occasional sideshow act, it’s an event aimed to entertain and astonish. The Polish KSW organization has put together its own concept of a circus and injected pain — plus the sideshow act of former World’s Strongest Man turned MMA fighter Mariusz Pudzianowski — into the equation. This circus also contains its share of beasts, including six men who will fight for gold in their respective divisions. Among these six men, there are two heavyweights: KSW champ Karol Bedorf and his challenger, Fernando Rodrigues, Jr.
Bedorf has been a fixture at the top of KSW’s heavyweight ranks since 2013, when he claimed the vacant championship with a victory over Pawel Nastula. The 33-year-old debuted in 2007 and has only lost to future UFC fighter Oleksiy Oliynyk — the loss came in a one-night tournament during which Bedorf also defeated future UFCer Francis Carmont — and Bellator veteran Rogent Lloret. He has appeared four times, including three successful title defenses, since capturing the KSW crown. His victims during his reign include Rolles Gracie, Peter Graham, Michał Kita and James McSweeney. The Berserker’s Team fighter has also registered victories over Oli Thompson and Karl Knothe. Bedorf, a decorated grappler, has only three submission finishes to accompany five wins by knockout. Rodrigues kicked off his career in 2012 and finished his first five opponents with strikes. After a six-fight winning streak, the Brazilian suffered a submission loss to Alison Vicente, a veteran who entered the contest with a 13-11 mark. The 29-year-old Rodrigues rebounded with a win in Brazil and then ventured out of his homeland for his subsequent fights. His first stop was Japan and the IGF organization, where he dispatched of veteran Antony Rea and young gun Yosef Ali Mohammad via strikes before he was dropped by Oli Thompson in a tournament at the 2015 year-end Inoki Bom-Ba-Ye event. Rodrigues departed for Europe and his most recent outing, a rematch with the aforementioned Mohammad. The Brazilian added his second submission finish when he stopped the Swede with a guillotine choke in just 68 seconds. Bedorf is a distinguished grappler who has often opted to use his fists rather than his submission holds. He might want to consider a change in approach against a devastating striker like Rodrigues, who has vanquished seven opponents via some form of knockout. The Polish fighter does have a strong arsenal of leg kicks and a sneaky striking style that allows him to slip punches through the guard of his opponent, but his approach can often leave him open to counter strikes. Rodrigues is a sloppy opponent with a lot more holes in his game, though. Bedorf can have success in a striking war with the Brazilian, but he has to avoid being drawn into a brawl and stick to a more measured use of his leg kicks and sneaky punches straight up the middle. Rodrigues often wings his shots in, which could give Bedorf just the opening he needs to punish the challenger. Rodrigues is a huge threat to Bedorf’s title reign, but the Polish fighter has a much tighter, sharpened game in every realm. His striking technique allows him to consistently inflict damage, whereas Rodrigues often needs to land one devastating blow that rocks his opponent. Bedorf also has a strong takedown shot and excellent ground skills. Rodrigues could always finish the champ with a stunning knockout, but it’s more likely that Bedorf either scores the stoppage win or outworks the Brazilian en route to the decision nod.